Essential oils are volatile aromatic substances that are derived from plants. The ‘essence of’ the plants’ fragrance makes these oils essential. These oils are extremely effective than the source botanicals from where they are obtained. Various parts of plants undergo extensive processes of steam distillation, resin tapping, and cold pressing to result in purest essential oils. There are no magic potions available to weight loss. Enriching your body with a healthy diet and including exercise to your daily routine has always been one of the most successful ways to reduce weight. Including essential oils in the diet not only accelerates weight loss but also balances and harmonizes the body and mood. It also helps in stimulating a specific region of the brain which affects the physical and mental state drastically . Essential oils can play a vital role in weight loss journey by helping in multiple ways. Inhalation of aromatic oils (aromatherapy) helps in activation of nose receptors which influences physical, mental and emotional state that in turn help in keeping a person healthy. They fight against craving, sugary foods , poor digestion and flatulence  and lethargic metabolism . Variety of essential oils works differently in reducing weight, let’s go one by one. Grapefruit (Citrus paradisi) was first noticed in the forests of Caribbean island, Barbados Grapefruit essential oils have been known as fat-burning-food for centuries is gaining popularity from few decades. It is a potent extract derived from the peel of the fruit of grapefruit plant . With a little bit bitter aroma, it contains a chemical compound-nootkatone which can activate enzymes (AMPK enzyme) that regulates the metabolic rate and body’s energy levels. An experiment by Gamboa-Gómez et al.in 2014 showed when C. paradisi treated obese rats were fed with a high-saturated-fat-diet lead to a reduction in adipocyte size and volume. The grapefruit infusion regulates lipid metabolism which in turn induces the expression of an enzyme (carnitinepalmitoyl-transferase 1a -CPT1a) which is responsible for transportation of long chain fatty acids and theirβ-oxidation. In randomized controlled trial different preparations of grapefruit –juice, capsules, fresh fruit revealed anti-obesity effect when administered three times a day before each meal for 6-12 weeks. It can reduce the appetite and boost metabolism. It can also shed excess water weight . The weight reducing the ability of the fruit is due to active compounds like flavonoids, furanocoumarins, β-carotene, and d-limonene . The oil can be either consumed by adding few drops of water or tea before each meal or throughout the day. It can be sniffed whenever sugar craving is felt. Application of oil wrists, under the nose, temple helps in controlling and curbing appetite. What does it mean? The grapefruit is a great tool to reduce weight by slashing down the craving and hunger. It not only boosts the metabolism but also sheds excess water. Cinnamon belongs to eternal tree Cinnamomumzeylanicum of Lauraceae family. Apart from being a key ingredient in the kitchen, it contains vital oil which enriches it with antimicrobial , antioxidant, anti-inflammatory . Cinnamon oil derivatives have found to show antidiabetic, lipid-lowering and anticancer effects . The market is flooded with two types of cinnamon oils- cinnamon leaf oil and cinnamon bark oil. Both are similar but the latter is more expensive, strong and more potent. The cinnamon oil enhances the sensitivity of insulin which is responsible for maintaining blood sugar levels by increasing the breakdown of blood glucose . As unstable blood sugar levels are responsible for over-eating, sugar cravings, reduced energy levels, and weight gain, regular use of this oil maintains the stability in sugar level and also prevents sugar craving. The inhibition of such cravings and overeating by eugenol, a constituent in cinnamon oil ultimately helps in reducing weight. It helps in reducing weight in long-run . The cinnamon essential oil is not only known as taste enhancer but also for its fat burning property. It also acts as a lipid-lowering agent which can reduce cholesterol as effectively as simvastatin . The cinnamon oil can be used in various ways- directly consumption, inhalation, topical application and diffuse it. 1-2 drops with a cup of tea or a glass of water and honey effectively reduce weight. To avoid the feeling of craving inhalation of oil or adding 1-2 drops of oil to a diffuser can help. Rubbing the oil on wrist and chest can also add to the list of weight loss benefits. What does this mean? The cinnamon essential oil help in burning fats and breaking down sugars which ultimately reduces weight. Eugenol, present in oil curbs the craving and overeating. Ginger, a flowering plant from Zingiberaceae family is an integral part of the Asian kitchen. Its root has been used as spice and medicine for centuries. The most potent form of ginger is its essential oil which contains the highest level of gingerol. An essential component of Ginger oil is sesquiterpenes which are popular for its anti-microbial and anti-inflammatory effects . The ginger essential oil has long been known as a natural remedy for an upset stomach- indigestion, spasms, diarrhea, and stomach ache. It has also been known to lower the cholesterol and improve lipid metabolism leading to improved heart health. The oil has also shown to boost the mood. Gingerol, present in ginger essential oil increases the process of thermogenesis which further accelerates the metabolic processes. It also helps in absorbing the vitamins and minerals that are required to boost the cellular function and support weight loss. An animal study on obese mice disclosed that gingerol suppresses obesity induced by high-fat diet and it may also serve as adjuvant therapy in obesity treatment . Internal intake of a few drops of ginger oil with a glass of warm water along with fresh lemon juice and honey serves as a promising weight loss agent. Inhaling the spicy aroma may also help in reducing craving and appetite. What does this mean? Ginger essential oil contains gingerol which suppresses obesity and enhances the rate of metabolism. It also improves lipid metabolism and reduces cholesterol levels. Lemon essential oil is extracted from the cold pressing of the rind of the lemon. The main component of lemon oil is limonene which is a natural fat dissolver. This citrus fruit is a rich source of phytochemicals (phenolic compounds) and other nutrients and non-nutrients (vitamins, minerals, and carotenoids). A study on mice with high-fat-diet-induced-obesity was treated with lemon essential oil for 12 weeks. The study results revealed that lemon oil suppressed weight gain and also reduced body fat accumulation. It also disclosed that lemon oil up-regulates the peroxisomal β-oxidation process by increasing the m-RNA levels of acyle-oxidase in white adipose tissue and liver . The oil supplementation also improved the hyperlipidemia, hyperglycemia, and insulin resistance conditions. Reduction in lipids, glucose levels also contribute to a healthy life by encouraging weight loss. It also enhances mood by elevating the levels of norepinephrine in the brain. The zesty scent of the oil helps in energizing the body. Detoxifying nature of the oil eliminates the toxins that get stored inside the fat cells and ultimately improves digestion. The essential oil is affordable and can be taken up in several ways. Intake of 1-2 drops of the lemon oil with a glass of water in the morning supports digestion and detoxification. Inhaling and massaging  the oil curbs craving and also removes toxins from fats cells. What does this mean? Lemon essential oil not only suppresses weight gain but also removes toxins from fats cells and detoxifies the body. It also provides energy to body and reduces lipids and glucose levels. Centuries have witnessed the use of peppermint in the treatment of indigestion in combination with Caraway oil. The cooling and pleasant giving component is menthol that can influence neurosensory perception. Peppermint oil effectively reduces bloating and improves the flow of bile. This helps in passing the food through the body faster. The oil if found to be miraculous in improving the memory and providing a calmness to the brain . Inhalation of this oil helps in staving off the munchies and also suppresses the appetite. A study revealed that participants who inhaled this oil every 2 hours had lower hunger levels and consumed lower calories than those who didn’t inhale the oil. The oil is most effective when it is consumed in its pure form. 1-2 drops of the oil can drastically suppress the appetite. Inhaling and using diffusers can help in uplifting the mood and inhibiting the craving . What does this means? Peppermint oil contains menthol which can enhance neurosensory perception which prevents sugar and food cravings and curbs appetite. It also improves digestion by reducing bloating. Bergamot belonged to Rutaceae family, which originated from the Mediterranean region. The volatile oil is extracted by cold pressing of the exocarp . The oil has the capacity to activate more than1000 receptors that are directly connected to an intracranial olfactory bulb that can influence hypothalamus. This helps in influencing mood and appetite. Bergamot oil also acts as anti-inflammatory, antibacterial, and antispasmodic. This property helps in relieving pain caused by exercise and relaxes the body. The oil is known for improving digestion and keeping the system fit and healthy. It’s competence to stimulate hormonal secretion aids in enhancing the secretion of digestive juices, bile juice, and insulin which have a critical role in metabolism. A study on obese people revealed that extract of the bergamot given regularly for 30 days can significantly reduce sugar and lipid levels. Polyphenol found in oil assimilates the sugar breakdown and also lowers the sugar levels significantly . These activities stimulate muscle contraction which quickens the digestive process and removes waste from the body by absorbing useful nutrients. The bergamot oil zeal up the mood and also instils the feeling of motivation. It can help to motivate a person to go for working out to shed some weight. This motivation can also help in avoiding emotional eating . The few drops of oil can be taken orally for 30 days to observe a weight loss. Inhalation directly from the bottle or from a soaked cotton ball can help in reducing the appetite and reducing kgs. Adding a few drops to shower also helps in preparing for weight loss. What does this means? This means that bergamot oil not only curbs the appetite but also speeds up the metabolism. It also refreshes the mind and motivates it for physical activity. Fennel is again an important ingredient of Asian cuisine. The oil is extracted from fennel seeds by steam distillation. Several generations are using fennel seeds and their oil to support digestion. Consumption of fennel oil is an outstanding way to improve digestion and suppress appetite. It is a rich source of melatonin hormone which can regulate circadian rhythms and even trigger the brain’s wake and sleep cycles. Better and restful sleep boosts oneself and prepares the person for the coming day workout. A trial on diabetic rats showed that the fennel oil effectively helped in reduction of weight gain and also improved the lipid metabolism . It also relieves constipation and bloating problems. Another aromatherapy study conducted on a rat, where they inhaled the fennel oil preparation twice a day for 10 minutes for 8 weeks continuously revealed fewer calories intake and a faster digestion rate . The fennel oil has found effective in reducing stress. As we all know stress promotes weight gain and emotional eating. Stress reduction is one way to reduce weight . Consumption of 1-2 drops of oil with a glass of water before a meal prevents overeating  and assists digestion. Application of oil can decrease the incidence of craving. What does this mean? The fennel oil is an excellent tool to reduce weight as it can rejuvenates mood and provide suitable sleep which is necessary for weight loss. It also reduces overeating and increases digestion rate. For centuries sandalwood has been known for its scent but it is now gaining momentum because of surprisingly beneficiary properties of the oil. Increasing demand, crowns it to be the most expensive essential oil. The oil is extracted from the matured roots of the tree by steam distillation process . Sandalwood oil constitutes two primary molecules, alpha- and beta-santalol. Alpha santalol makes the oil stand out of the other oils as it is responsible for endless benefits- reduces blood glucose, anti-inflammatory and works against skin cancer. Soothing and harmonious feeling provide the oil reduces anxiousness and provides relief to the person. It helps in relaxing the body after the workout and also overcoming the habit of emotional craving. The oil tries to control hunger by aromatherapy. Sandalwood oil can be used in various ways. Inhaling the earthy scent relaxes the body immediately and keeps it away from food. Rubbing a couple of drops curbs craving. Using the oil in the diffuser instantly relaxes at the end of a long day. What does this means? Sandlewood oil is one of the most expensive oil which can suppress the urge to frequently eat and relaxes the mood with its pleasant fragrance. Therapeutic and cosmetics benefits of the Lavender oil have been discovered for more than 2500years. It is known for its powerful sedative, antioxidant, antimicrobial, and anti-depressive properties. Lavender oil contains powerful antioxidants like glutathione, catalase, and SOD which fight against free radicals and toxins . This not only eliminates toxins but also protects against dementia . The oil has also found to reduce metabolic disorders like fat metabolism and weight gain. Additionally, the lavender oil has shown efficiency in reducing stress and enhancing mood by lowering the cortisol levels, which also reduces weight. Lab rats inhibited anxiety behaviours as compared to the placebo group when exposed to 80mg lavender oil for 7 days . Inhaling few drops either directly or through the diffuser, relaxes the amygdala proving the feeling of relaxation. What does this mean? The lavender oil has a strong fragrance which can relax the mood and also help in elimination of toxins. Eucalyptus tree or Tasmanian Blue Gum is an evergreen tree native to Australia and food of koala bears. The leaves of the tree are used to produce the essential oil which has found use in relieving pain and allergies. The minty and refreshing scent of the essential oil invigorates the senses and reduces the stress. Inhalation of the oil when one is tempted to food drives one away from the food by relaxing the mind instantly. Avoiding over-eating reduces weight gain. The oil can be inhaled directly from the bottle by taking deep breathes or can be added to the bucket of water at the time of bathing. 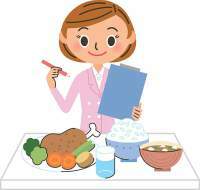 A feeling of calmness and mental preparedness for weight loss schedule helps in controlling the weight. What does this means? Eucalyptus oil refreshes the mood and mentally prepares to get ready for weight loss plan. Jasmine essential oil is derived from the flower Jasminum officinale. It is known a natural remedy for overcoming stress, improving mood and balancing hormones. Use of Aromatherapy treatment for 8 weeks can drastically bring improvement in mood and sleep by treating insomnia . Its inhalation or application on the skin can boost the energy levels . It has also found to reduce blood pressure and increase heart rate . Jasmine oil is a light oil and doesn’t require a carrier oil and can be used undiluted.it can be either be applied topically or inhaled directly through the nose. Using the oil along with grapefruit essential oil has shown excellent results. What does this means? Jasmine oil can be used in undiluted form to enhance the mood and improve the sleep which ultimately helps in reducing pounds. Orange oil is derived from the outer peel of the fruit of the Citrus sinensi orange plant. Active ingredients of orange oil are limonene and myrcene which makes orange essential oil one of the most useful oils. Limonene is a powerful anti-oxidant which fights against free radical and help in losing weight. It serves as a digestive booster which can promote digestion and solve the problem of constipation. It detoxifies the body by acting as a mild diuretic and also eliminates excess sodium and waste from the alimentary canal. Apart from this it also acts as a mood booster and a pain reducer.it uplifts the mood by reducing the levels of stress hormone cortisol . Reducing stress and anxiety has shown to directly affect weight . Inhalation of a few drops of the orange essential oil can be fruitful in reducing weight. In taking 1-2 drops of oil with Luke warm water before a meal can provide amazing benefits by dropping appetite and overeating. What does this means? Orange essential oil is a digestive and a mood booster whose consumption on a regular basis reduces weight. Cardamom, belonging to the family “Zingiberaceae”, is available all over Asia and used as a spice. Elettaria cardamomum or cardamom can be used in the form of seeds or pods in order to make use of the aroma and benefits that it imparts. Cardamom essential oil is, however, derived from the seeds of cardamom plant. It can attenuate high blood sugar levels as well as hyperlipidemia. Cardamom also had a positive impact on subjects suffering from hypertension. It reduced the mean blood pressure significantly. It also raised the levels of antioxidants in the blood, as reported in a study published in the “Indian Journal of Biochemistry& Biophysics” in the year 2009. What does this mean? Cardamom oil can successfully attenuate high blood pressure, high lipid and glucose levels in the blood. Rosmarinus officinalis, or rosemary, is found in the Mediterranean region and is an evergreen, fragrant, perennial woody herb. It has uses as an herb in the kitchen and also, medicinal uses. Rosemary essential oil is derived from the leaves of the plant. Rosemary oil has a very high Oxygen Radical Absorbance Capacity (ORAC) value, that is, 3,300. This is because of the presence of a compound known as carnosol. Carnosol is a promising antioxidant. It suppresses the production of nitric oxide and also has an anti-inflammatory action on the body, as was reported in an animal study. Rosemary is also rich in the compound known as Carnosic acid. It helps in the prevention of body weight gain. Carnosol as well as carnosic acid, both contribute to the inhibition of formation of fat cells. It also has an anti-inflammatory effect. What does this mean? Rosemary has antioxidant properties because of the presence of carnosol and it aids weight loss by preventing the formation of fat cells and weight gain as it has a compound present in it, known as carnosic acid. Patchouli belongs to the mint family and is a bushy herb which bears pale pink to white flowers. Pogostemon cablin, or patchouli, has been used for its fragrance and also for the medicinal properties. It has been used in aromatherapy for years and prevents food cravings as well. Patchouli oil can be obtained by the steam distillation of the leaves of the plant. It has various antioxidants that provide it with antioxidant or radical-scavenging activity. It regulated the immune system of the body to prevent inflammation. Patchouli alcohol, a compound found in patchouli can help with the inhibition of macrophage (immune cells)infiltration and prevent the onset of, or attenuate atherosclerosis. What does this mean? Patchouli essential oil is a powerful source of antioxidants, an appetite supressant and a regulator of the immune system of the body that prevents or attenuates atherosclerosis thereby helping obese subjects. Other essential oils that help in shedding down weight are – Tangerine, Cloves, Spearmint, Lemongrass, Celery seed, Juniper berry, Cypress, Mandarin, Laurel, Hyssop, Rose geranium, Ototea. Different oils are used in different regions of the world. These oils have the ability to burn fat and break down sugar molecules into a simpler form. These oils also help in curbing the sugar craving and over-eating. They also help in enhancing the metabolic system by improving digestion and metabolic activities. Essential oils are a natural component which is available in their purest and concentrated form. These purest forms make the oil powerful. These oils may have allergic reactions when applied topically. The best way is to try a few drops of oil on arm or legs just to make sure the oil isn’t having any adverse reactions. These oils should not be used directly on the skin rather they should be mixed with carrier oils like coconut oil or almond oil as the essential oils are quite potent and can harm the skin. Essential oils should not be applied to sensitive areas like ears, eyes or damaged skin. Pregnant and lactating mothers should avoid using these oils without the consultation of the doctor or specialist. These oils are quite expensive and hence there are multiple sellers who sell fake products. Check the percentage and species of the plant before investing money in these oils. The oil should not be consumed directly rather consumed with a glass of warm water or a cup of tea. It will provide additional benefits in losing weight. A good diet accompanied by the sufficient amount of exercise is the key to shed pounds. Every person requires its own diet plan based on their need, hence no single oil is the perfect tool for every individual. Some essential oils may work wonders whereas the same oil may not have any effect on others. The overall combination of oils can help to reduce pounds in a few months. Grapefruit oil, lemon oil, ginger oil and peppermint oil help in accelerating the metabolism and enhances the sugar breakdown whereas oils like sandalwood, lavender and eucalyptus can work on mood and enriches them with freshness and sootiness. Orange essential oil, lemon essential oil can serve both these purposes. What is Shangri-La Diet and Can it Help in Weight Loss? Is Jillian Michaels Diet Effective For Weight Loss?